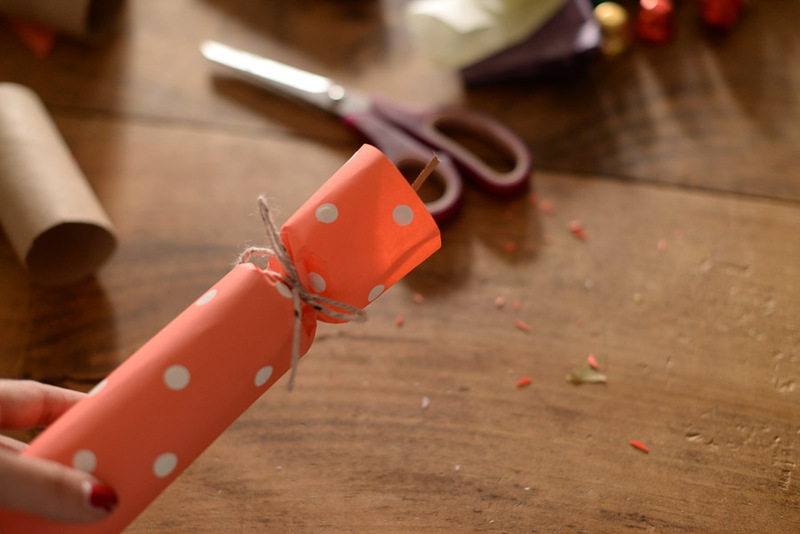 I love having Christmas crackers during the holidays, but apart from the paper crown, which is amazingly fun to wear and beloved by all, I always find the goodies inside a little disappointing. A couple of years ago, I decided to start making my own, and I think this year’s are the best yet. 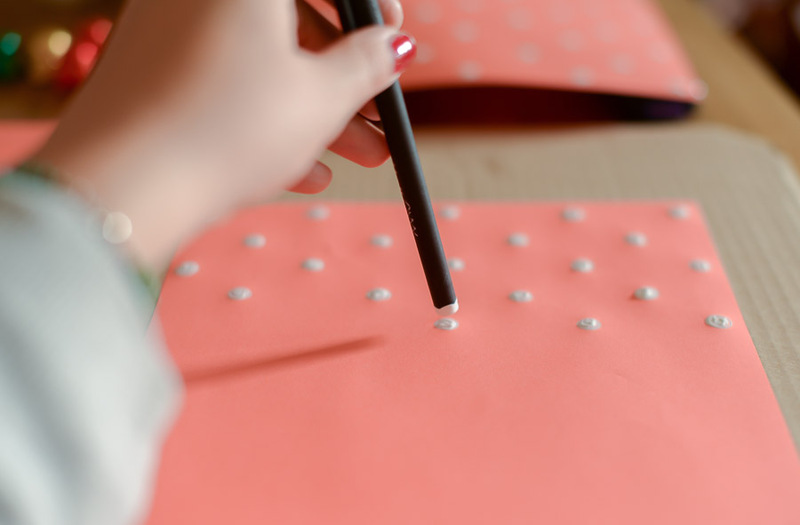 This video has great instructions, but I’ve also outlined what I did below. 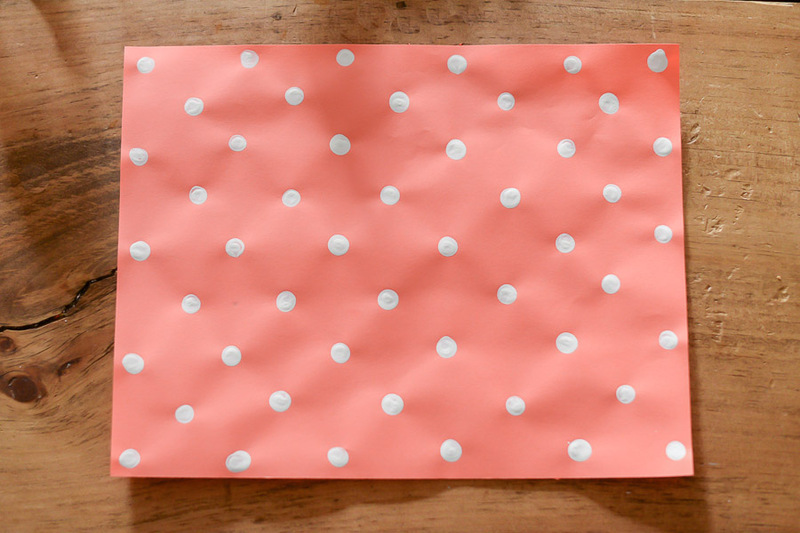 I used the end of a pen to stamp white polka dots on this cheery coral paper leftover from a project. 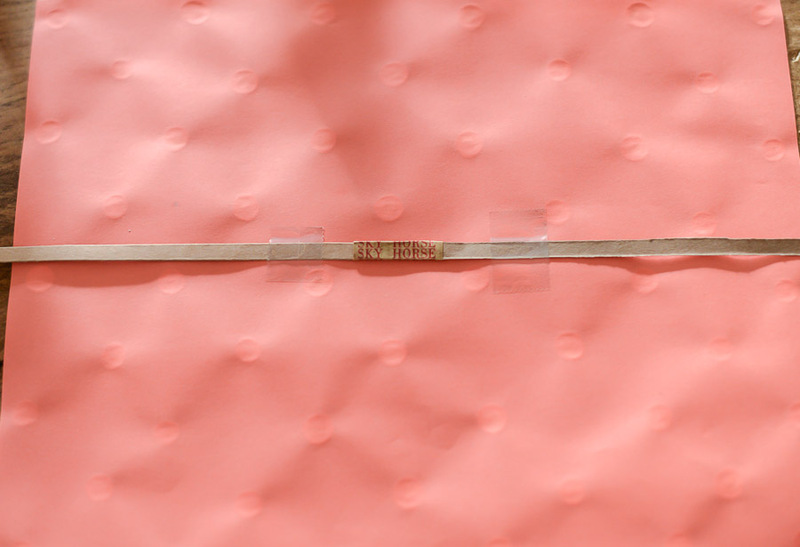 Once the paint had dried, I turned the sheet over and lightly secured a cracker snap to the back with a little tape. 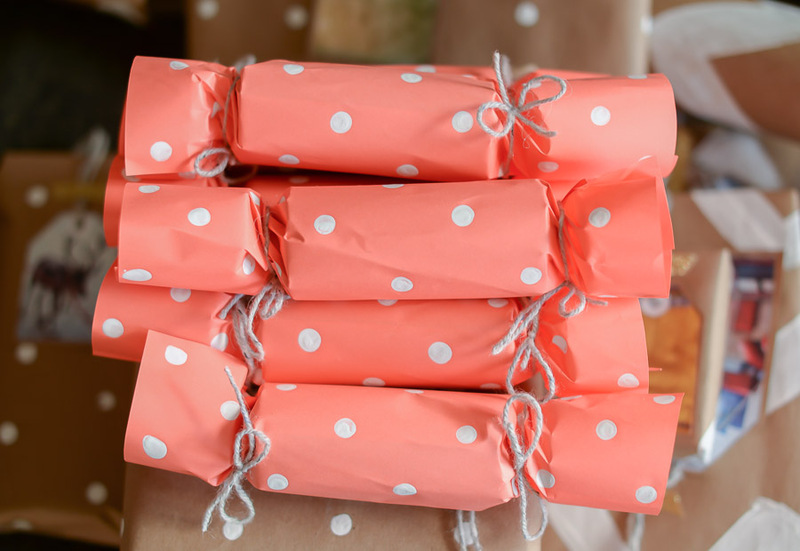 I get my cracker snaps from Old English Crackers. 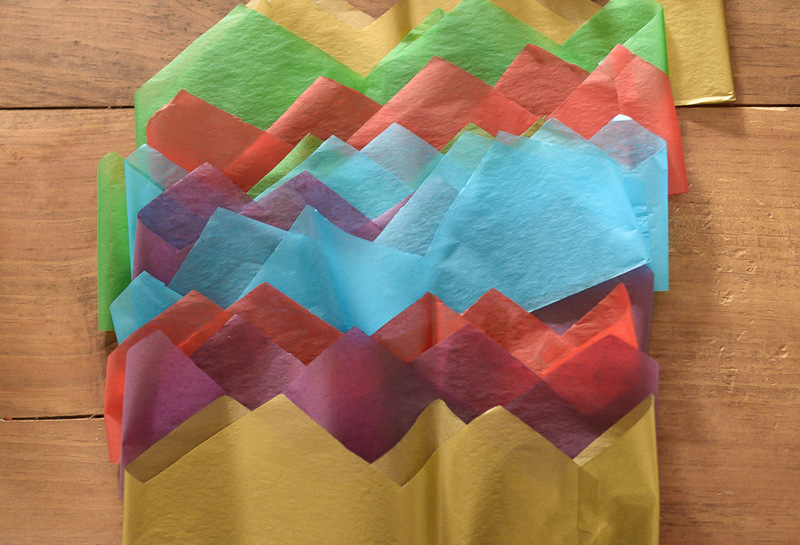 Don’t worry if they hang over the edge of your paper a bit; you can trim them back later. 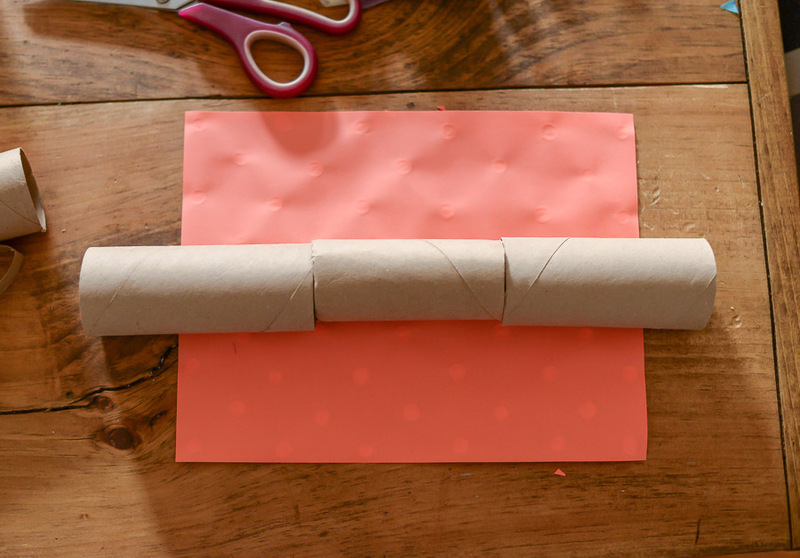 Line up three cardboard tubes on the paper, with the middle tube spaced exactly in the center, then roll the paper lightly around the tubes and secure with tape. Pull one of the outer tubes out from the center about 1.5 inches. 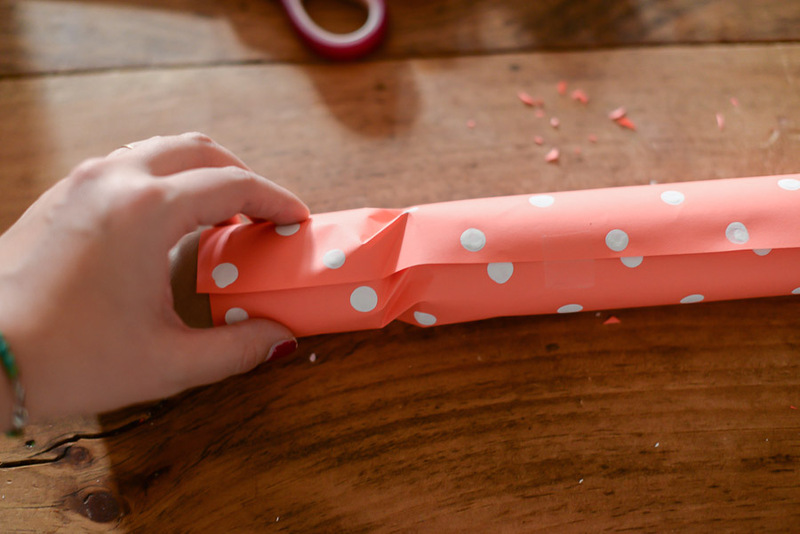 Hold the center tube in one hand and the separated outer tube in the other, and twist them in opposite directions. 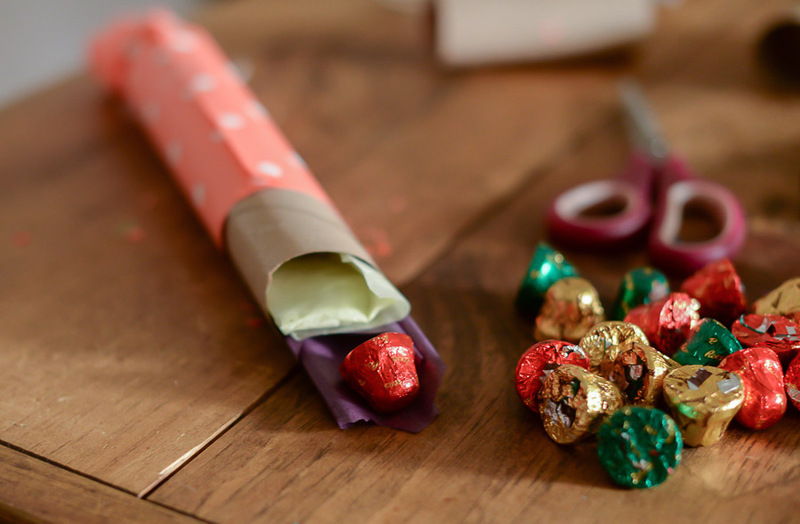 This will crinkle the paper in the open space between the tubes, and create a smaller opening along the side of the central tube so that your cracker contents don’t fall out. 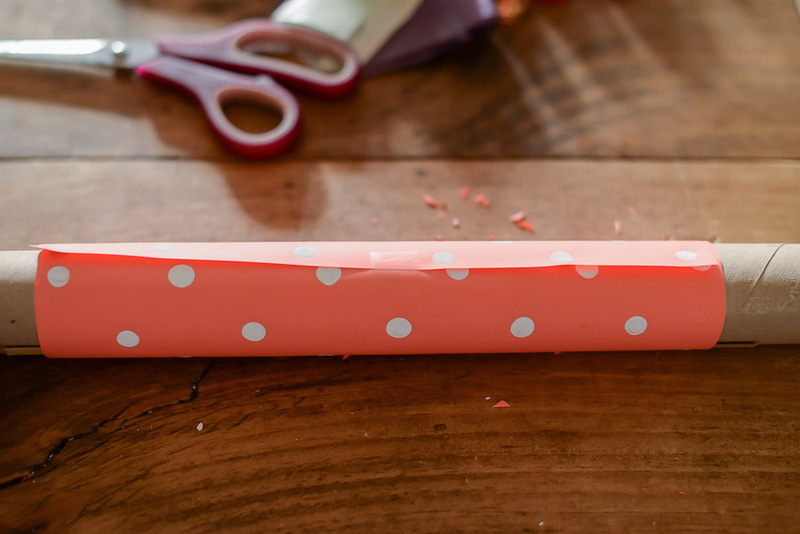 Cut a piece of ribbon or yarn and secure the crimped area of the paper tube. 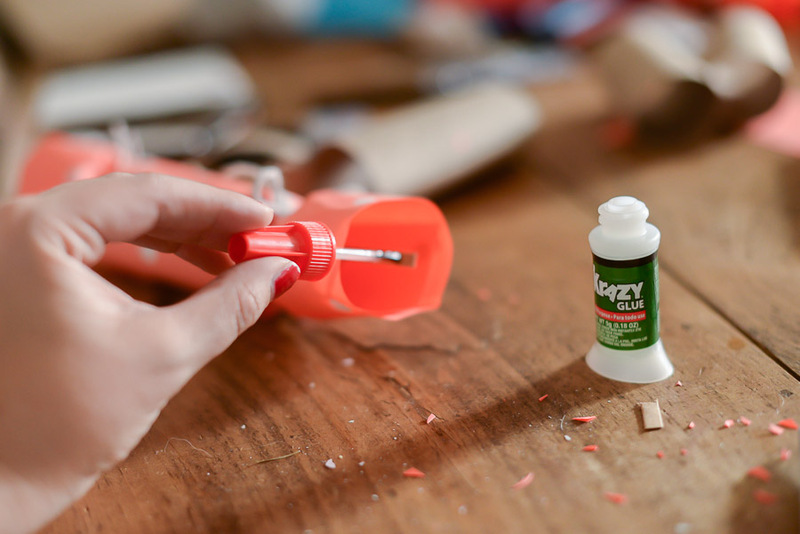 Once secured you can remove the outer tube from that side of the cracker. 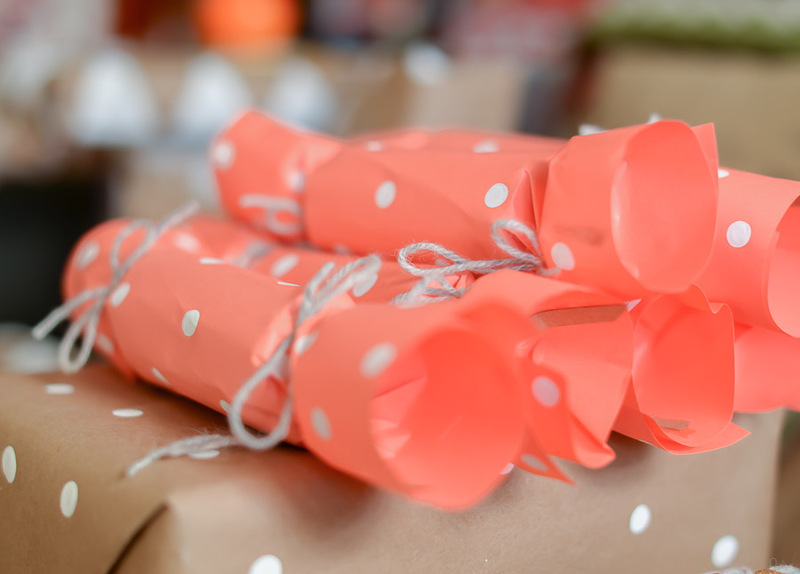 Next you should fill the cracker with a variety of small gifts. 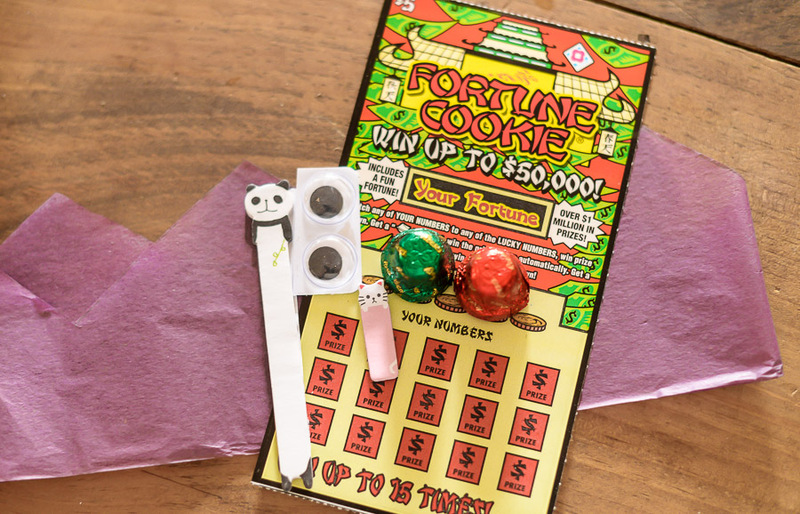 I like to use candy, stickers, scratch tickets, and this year I found some googly eyes. And of course, don’t forget the tissue paper crown. 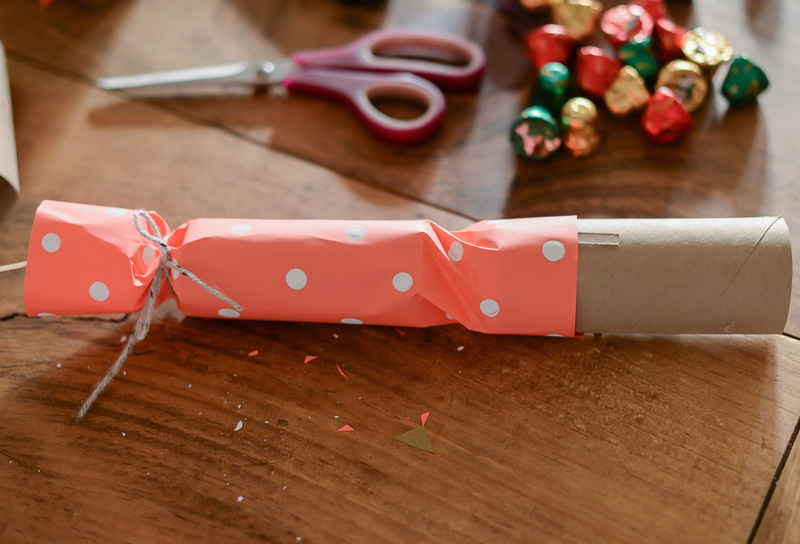 Once you’ve stuffed your cracker with gifts, secure the other end in the same way as before. At this point you can trim the cracker snap so it lines up with the edge of the paper. 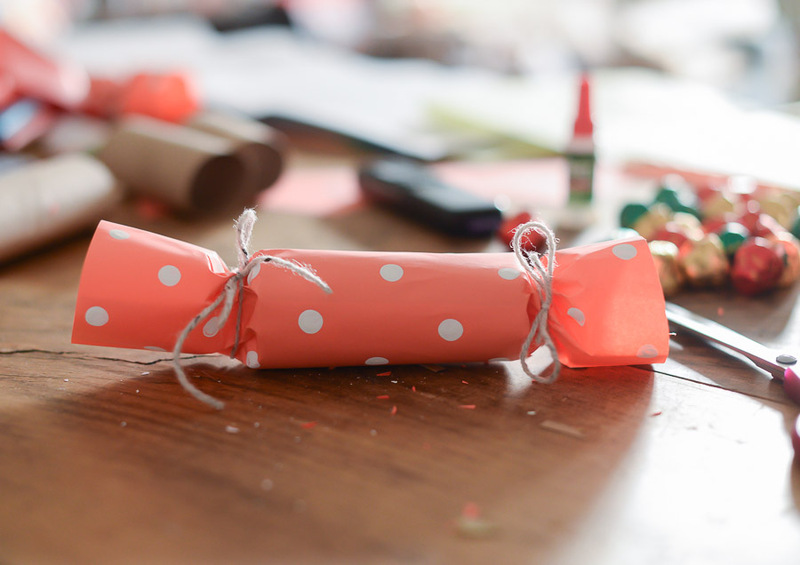 Use a little glue to secure it to outer edge of the cracker, and you’re all set for Christmas fun!